I’m taking green bean casserole OFF the table this Thanksgiving and moving towards a more sophisticated dish: Green Beans in Mascarpone Cream Sauce. 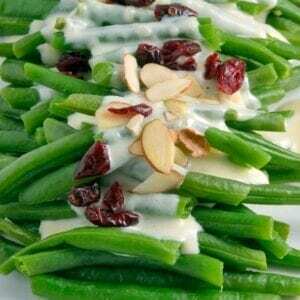 Green Beans in Mascarpone Cream Sauce is a sophisticated and delicious update to the old green bean casserole. It is sure to become a family favorite. We all know and love the green bean casserole. 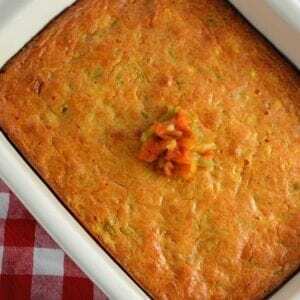 It is a classic, but let’s be honest, it doesn’t do the humble green bean many favors. 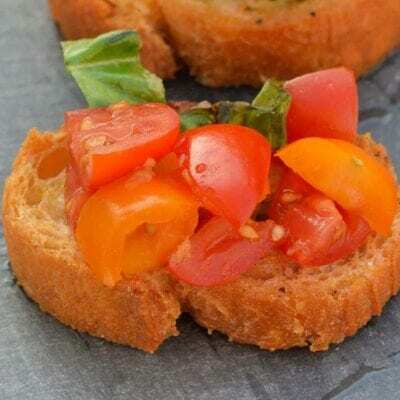 The old recipe masks their flavor and leaves you wanting in terms of texture. The green bean casserole screamed for an update. One that would elevate the green bean while giving it a new flavor profile and of course, texture. I chose mascarpone cream sauce because it is velvety and decadent. 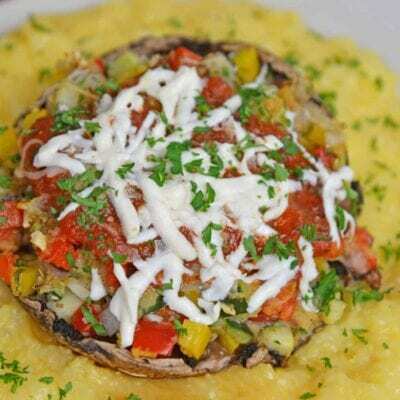 Similar to the that of the cream of mushroom soup, only better. 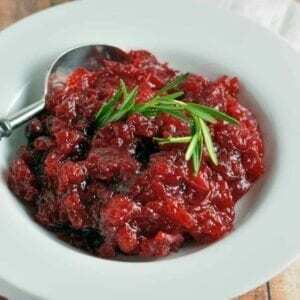 The cranberries give you a hint of tart sweetness. The slivered almonds give you crunch. 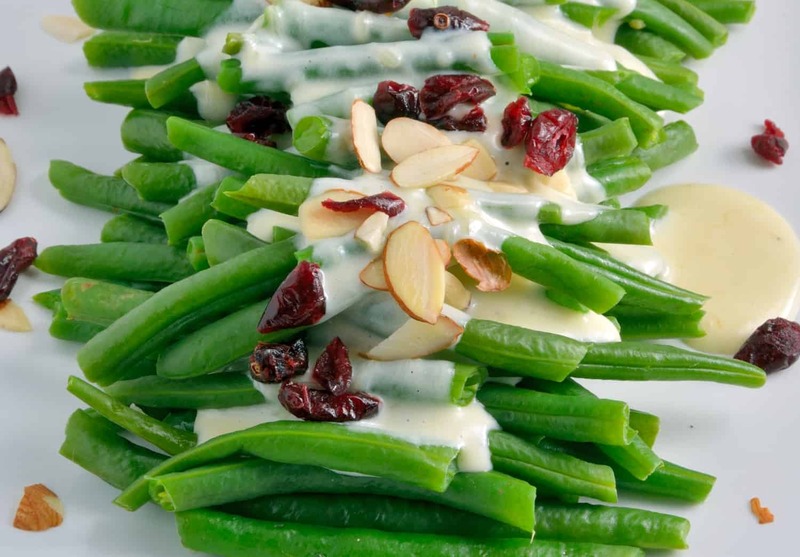 Green Beans in Mascarpone Cream Sauce can be made ahead of time, but be sure to steam your green beans last. No one likes a soggy green bean. Steaming them last minute will ensure a crunchy and brightly flavored bean. Simply make the mascarpone cream sauce and reheat on the stove with a touch more milk to thin it out. Spoon over your beans, garnish, and serve! Any leftover mascarpone cream sauce can be used over pasta, to dip bread, or to top any of your other leftovers from the week. 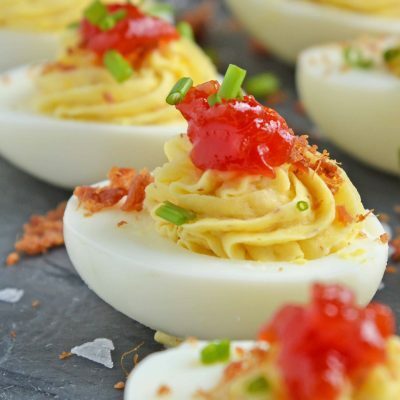 If you really wanted to go crazy, you could slather it on a sandwich or serve it over eggs. 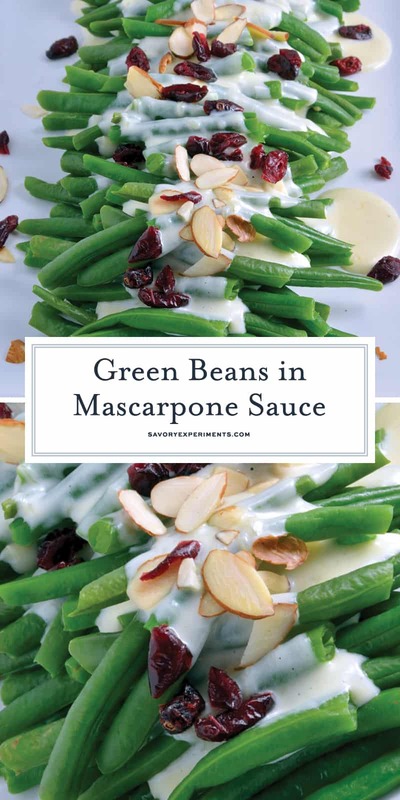 Enjoy your Green Beans in Mascarpone Cream Sauce! Fill a large pot 1/4 of the way with water. Add steamer basket and bring to a low boil. In a separate saucepan, melt butter in a medium saucepan. When melted, whisk in mascarpone. When combined remove from heat and whisk in Parmesan cheese, nutmeg, white pepper, and salt. Set aside. Add green beans to the large pot, cover, and steam for 4-5 minutes, tossing once to evenly cook. Remove from steamer basket to serving tray. 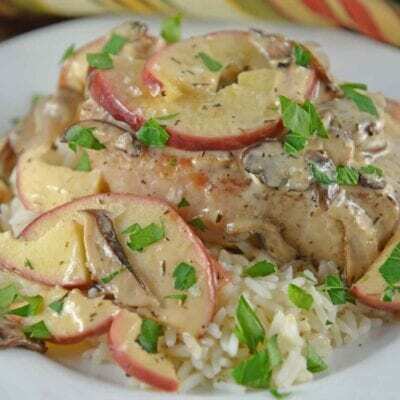 Spoon mascarpone cream sauce over top and finish with dried cranberries and sliced almonds. Add additional salt or Parmesan cheese to taste. 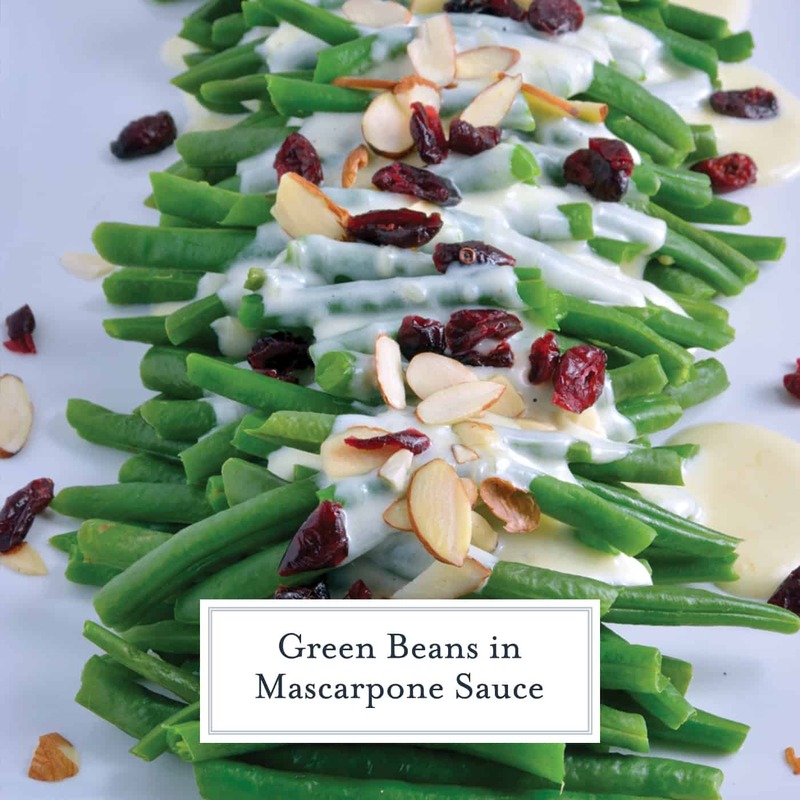 Serve and enjoy your Greens Beans in a Mascarpone Cream Sauce! This was great! I didn’t have the dried cranberries, and I really think that they would add a nice sweetness. I’m making this again. Thank you so much for stopping by to leave a note, Lisa. Kind comments like yours keep me going. And YES try the cranberries!